Filling is poured the liquid from one container to another container as the requirement. When we filling liquid we need to pay attention something Such as the flow rate, pressure, filling volume, liquid character and so on. So we have a high requirement for filling tools. What is the peristaltic pump working principle? It’s the roller drives the liquid transfer. This has many advantages like we can according different liquid character to choose suitable for tubing material. 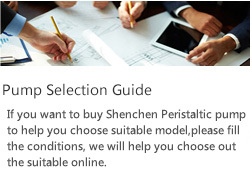 Compared with other equipment peristaltic pump maintain is easy. We only change tubing for maintain. Peristaltic pump with high precision and let our pump has high work efficiency.For peristaltic pump filling liquid type, for example, eye liquid ,e-liquid , food and beverage and so on.